Surrounding Communities for 85 Years! 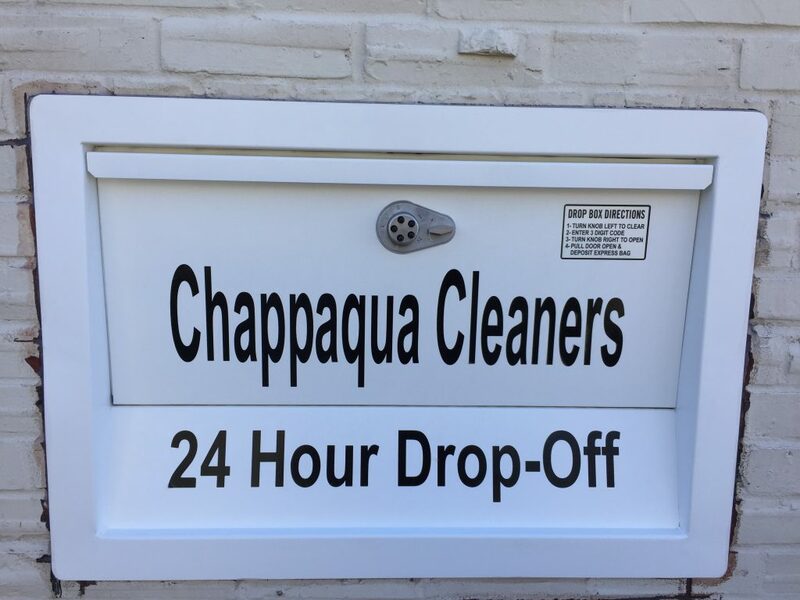 Welcome to the center of Chappaqua! Conveniently located in the middle of town at the corner of King Street and North Greeley Avenue. Owned and operated with a personal touch by three generations of the Magnotta family since 1934. We provide professional dry cleaning, laundering, tailoring and shoe repair. Our mission: Total customer satisfaction! 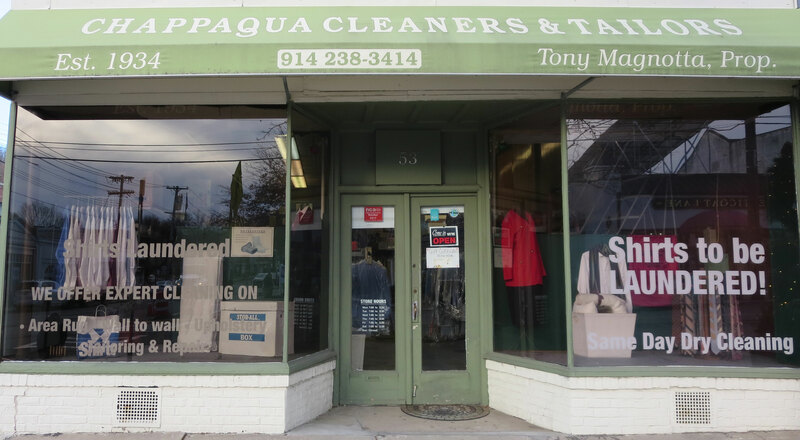 What can you expect from Chappaqua Cleaners & Tailors? A very friendly, caring atmosphere where you will quickly get to know the Magnotta family. We are very passionate about our business and our customers! Dry cleaning and tailoring are performed on the premises. Spot removal is a specialty! We take great pride in providing the highest quality of service on a consistent basis. As a result, our clientele consists of long-term customers and new patrons quickly become friends of our business. 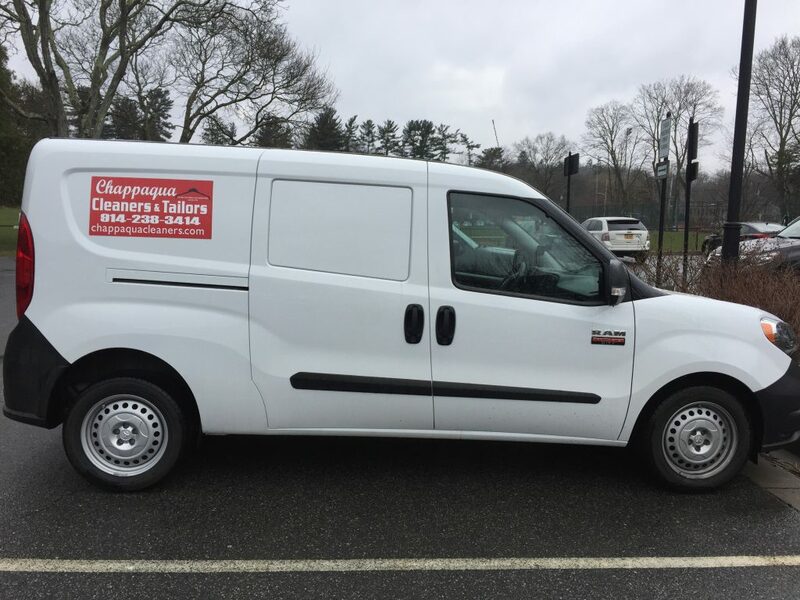 Promptness is our motto so we have an outstanding track record for orders being ready on-time! Special requests can be accommodated. If we cannot provide the appropriate service or solution, we will tell you. 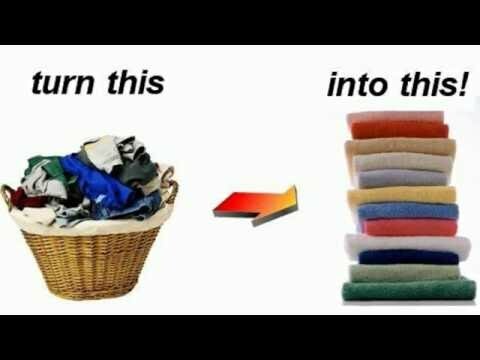 If we are aware of another business which can, we will refer. No need to worry if you have forgotten to check pockets beforehand as all items are separately bagged and returned with your order. American flags cleaned for free. Parking available behind the store. 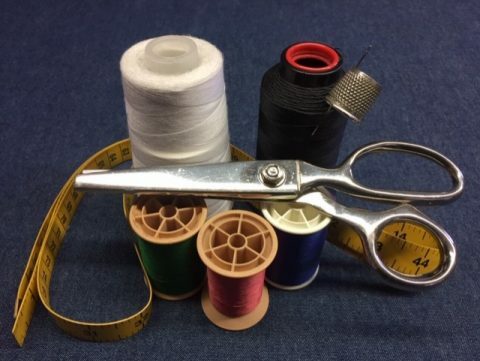 Do You Have Tailoring Needs? Are You Looking for Authentic Craftsmanship? Our Tailors are Highly Skilled Italian Artisans! Lifts, Taps, Heels, Soles, Zippers, Cleaning/Polishing & More!